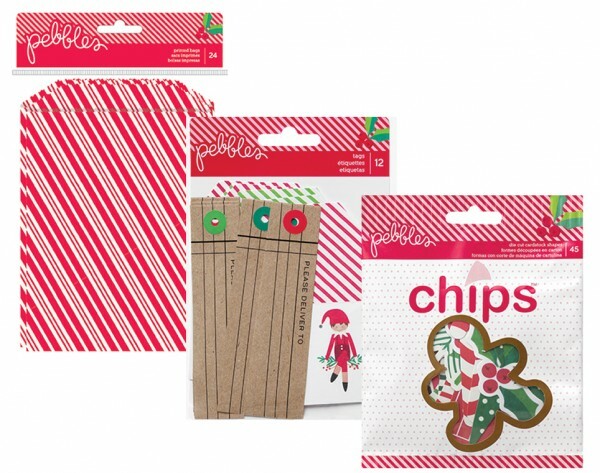 July 2014 - Pebbles, Inc.
Finding cute gift bags at the store can sometimes feel like finding a lost contact on the floor – near impossible, especially when it’s urgent. 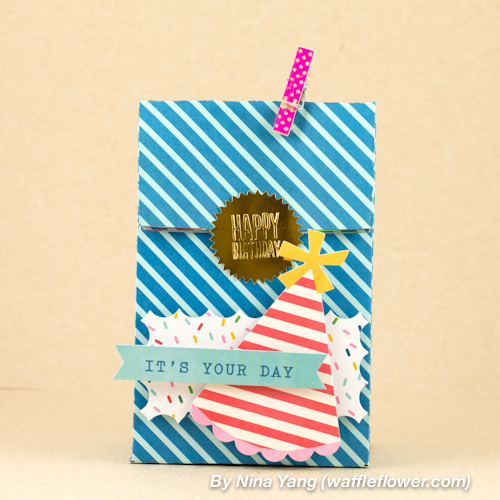 But today we’re in luck because Nina Yang has made the perfect birthday gift bags that can be customized, embellished, and tailored exactly to what you like best. Hello everyone! Nina here again! 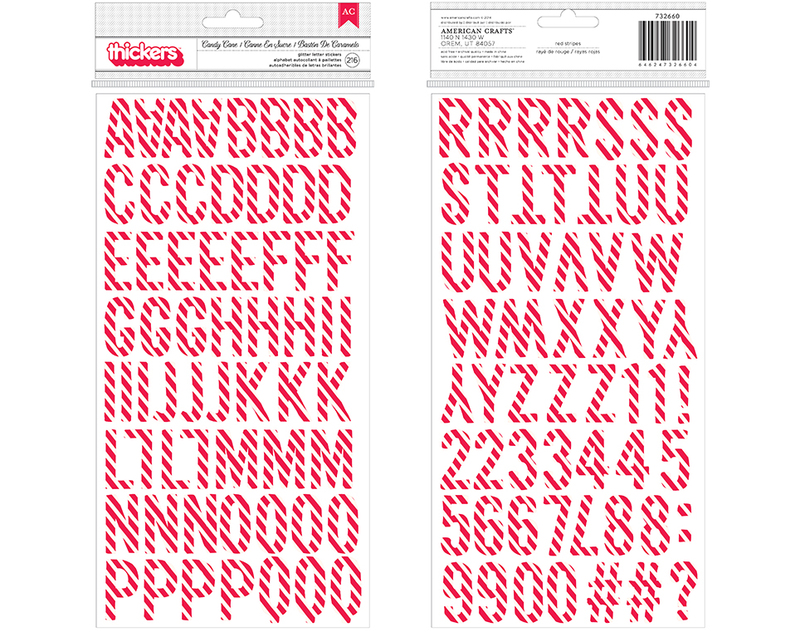 Have you heard that American Crafts has acquired We R Memory Keepers? I’m a fan of the punch boards and would like to share a quick and easy birthday gift bag project today! 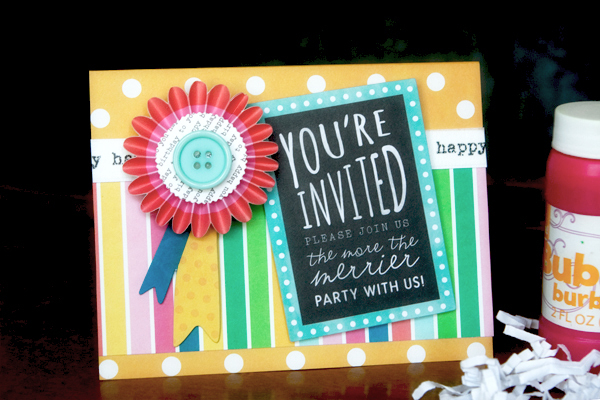 I pulled out the beautiful paper and embellishments from our Birthday Wishes collection and punched away. The paper size I used was 9”x12”. I followed the gift bag punch board instructions all the way until I was ready to punch the holes at the top. I aligned the top of the bag to the “start” line on the board and scored at the “side” line. 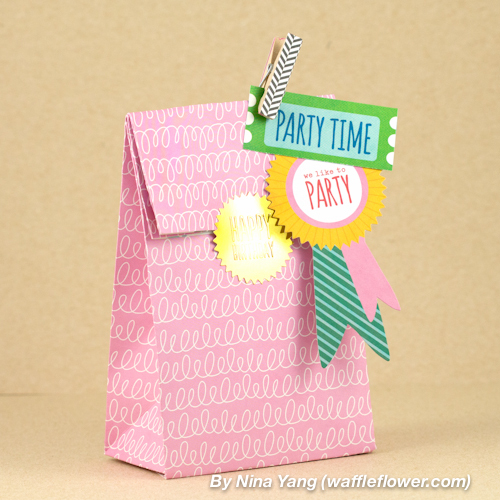 This way I can keep the fold lines consistent on all my gift bags. Fold down the top following the score line. Seal with a pretty gold seal from Birthday Wishes collection. Easy, right? Then I had some fun decorating the bags with the cardstock shapes. 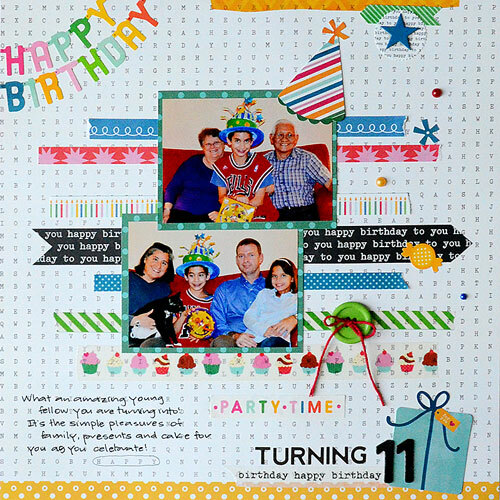 The Birthday Wishes collection is a happy colorful collection and you can’t go wrong mixing and matching the embellishments. I used foam adhesives to add some extra dimension to the elements. 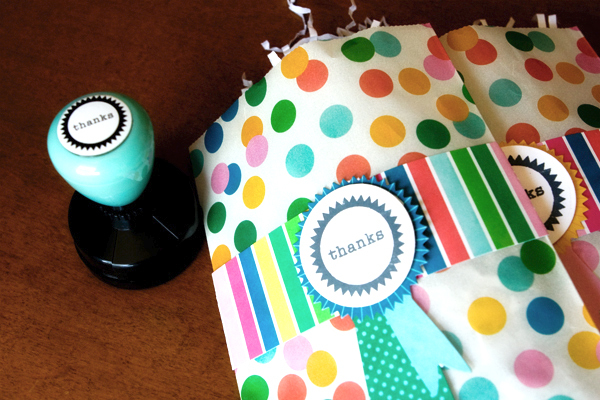 Find more ways to use this gift bag punch board using Pebbles Garden Party collection on my blog here: http://bit.ly/1jOlQk5. Thank you for stopping by! Happy Crafting! It’s always gratifying to buy an all-in-one kit. You can get everything done without any extra hassle, and you don’t have to go search for add-ons or other supplies. Well, you may not have realized this, but the Birthday Wishes collection can be just that – an all-in-one kit for an entire birthday party! 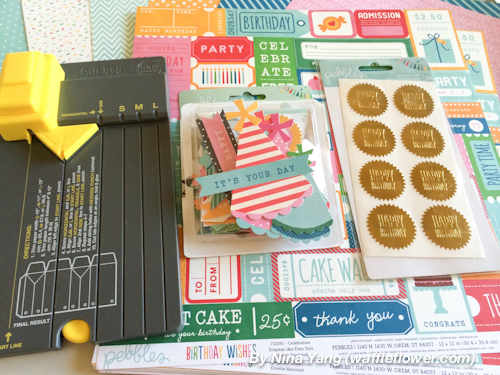 Kim Kesti whipped up all the goodies and trinkets you need for the perfect party. Read on to check it out! Hello, friends! 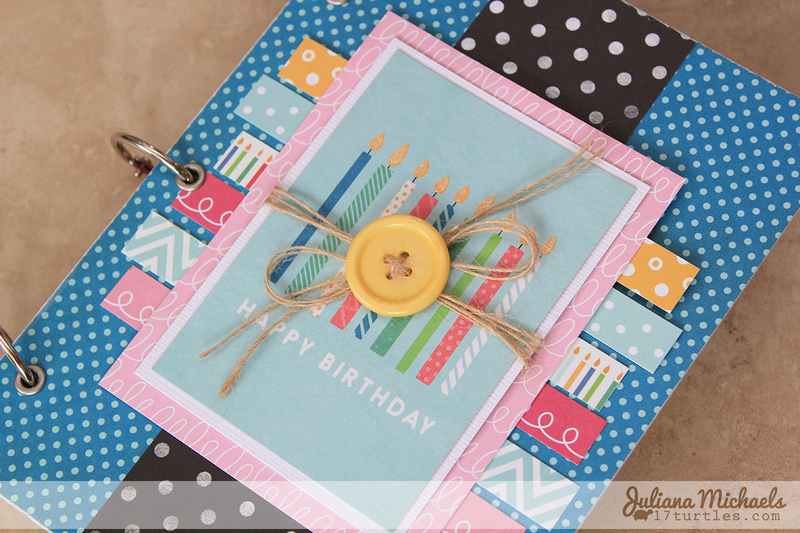 I am very excited to share a birthday ensemble I created with, of course, the new Pebbles Birthday Wishes collection. It was a happy day when I saw the first peeks of this new line. 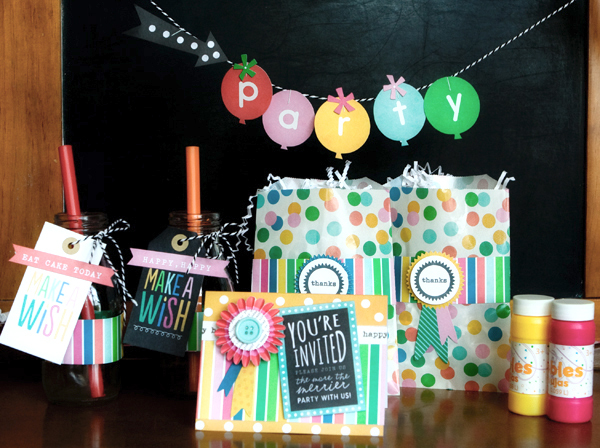 We are big fans of birthday parties around here, so this collection will get tons of use. I went a little nuts with this ensemble, but I couldn’t resist all the cute elements. 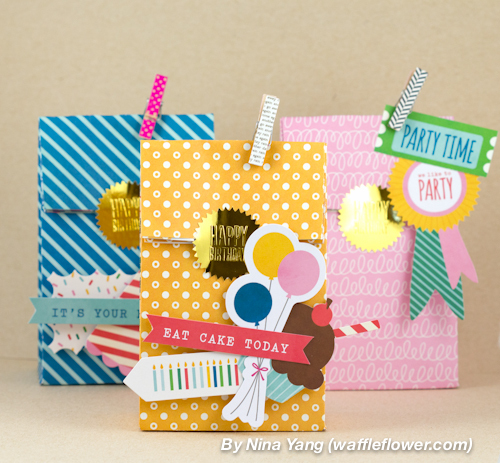 The party banner was simple to create; just staple your chipboard balloons on a piece of baker’s twine. This banner would be the perfect size for a cake, too! The invitation could not be easier. 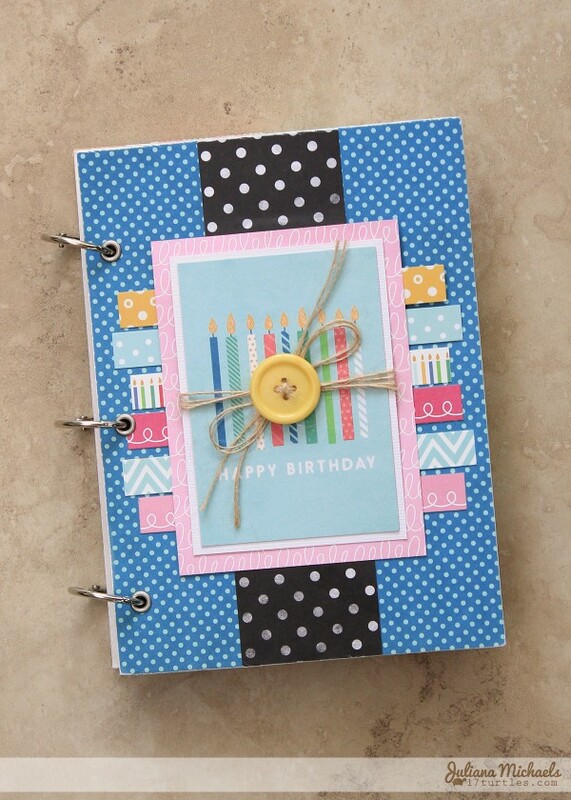 I used one of the cards from the Cardmaking Pad (you can create multiples really quickly with this pad), and layered it with a Rosette and a few pieces from the chipboard shapes pack. I think these glasses are my favorite! 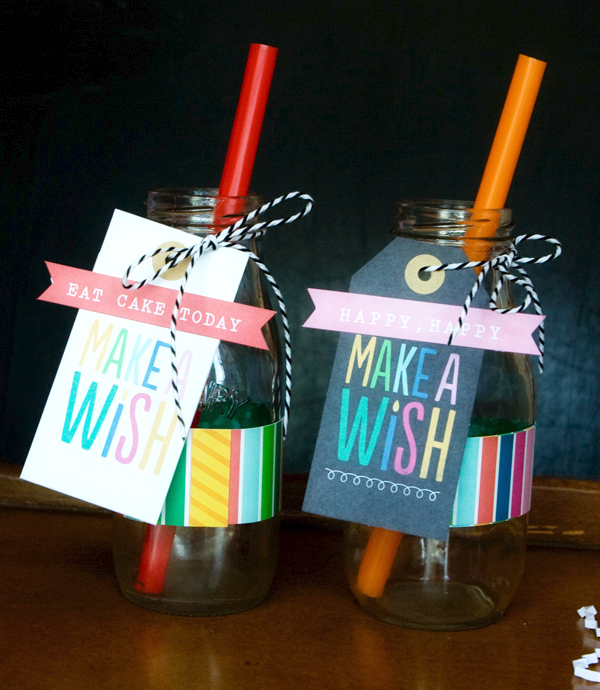 I decorated them with a strip of patterned paper, then tied on a cute tag with more baker’s twine. I can’t wait to fill these with lemonade! I hope you have enjoyed my little party items. Our next party is for a dear friend’s 18th birthday! I think the kids will enjoy this set along with ice cream and sprinkles! 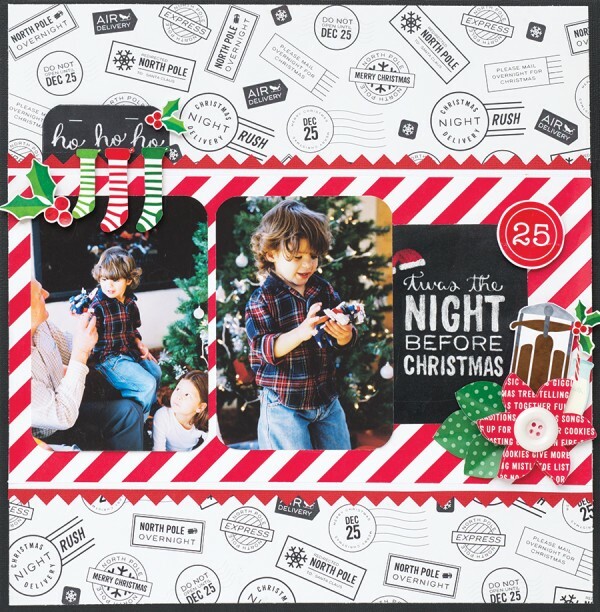 Today we’re excited to bring you a new holiday release from Pebbles called Home for Christmas. This collection is filled with holly berries, sweet treats, Christmas goodies and all the things that make Santa’s visit so magical. Celebrate the spirit of the season with Home for Christmas, a new collection from Pebbles. This festive collection features traditional shades of berry red and pine green with modern accents of cool turquoise, bright white and gingerbread brown. Images of candy cane stripes, peppermint swirls, snowflakes and holiday treats add their own bit of holiday magic to every project. 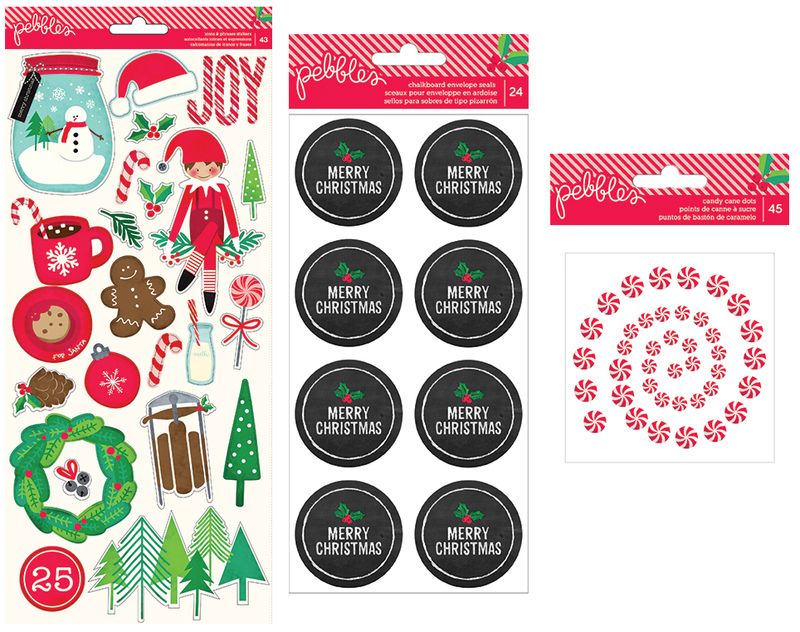 This collection boasts 12 double-sided patterned papers, die-cut shapes, tags, envelope labels and an assortment of stickers. You’ll enjoy using treat bags, candy cane dots, white and red garland, and a countdown banner in your holiday crafts and party décor. 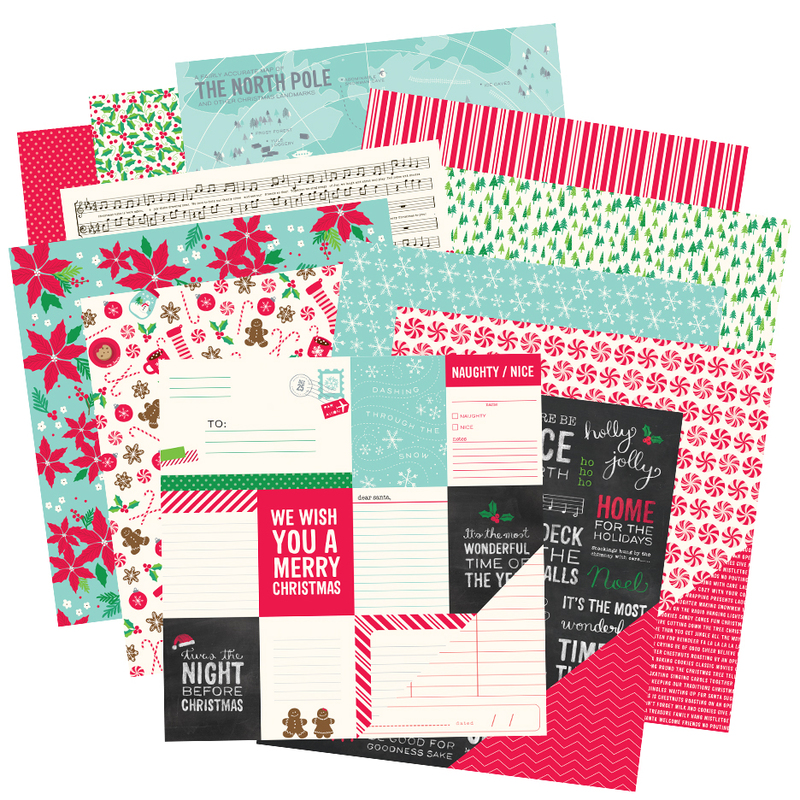 See what gifts, cards, layouts and decor you can create for the holidays with this festive and cheerful collection! Ever reread an old journal or memoir for inspiration and guidance about something that’s going on right now? Well, the same idea can apply to your pre-existing crafts and scrapbook pages! Let those oldies but goodies inspire your crafts today! 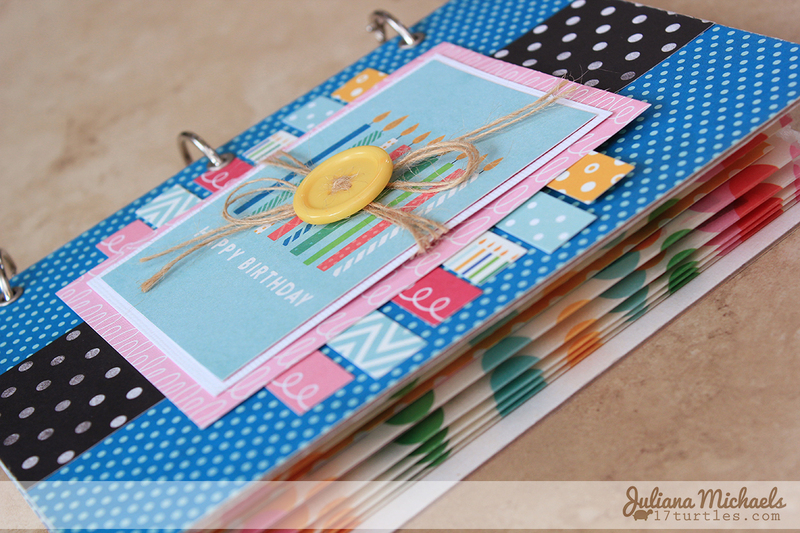 Suzanna Lee is here to show us just how to rediscover old layouts and use ideas from them as modern inspiration. When it comes to design inspiration, where do you turn? Pinterest, sketches, online or print magazines? How about looking to your own completed albums? Occasionally, I really like to “lift” my own layouts. You can be a great source of inspiration for yourself! Fancy that! In going back to find my blog post to refer you to, I also realized that the original layout was based on a PageMaps sketch! You can find my original inspiration HERE. And this is what I came up with based on my own layout which was based on a PageMaps sketch! There is a little bit of variety but you see the original inspiration; the strips. There is a vertical cluster of embellishments that move down the right hand side of the page as well, just a little less defined. Pictures, title and journaling are a tad difficult but there is a resemblance. This layout was created with a lot of the washi paper that I cut into obvious strips and layered with selvages and scraps from other projects. I hope I have inspired you to turn to your own albums for some inspiration! It’s sitting right under your nose, you don’t have to go far! Birthdays require some bit of organization. 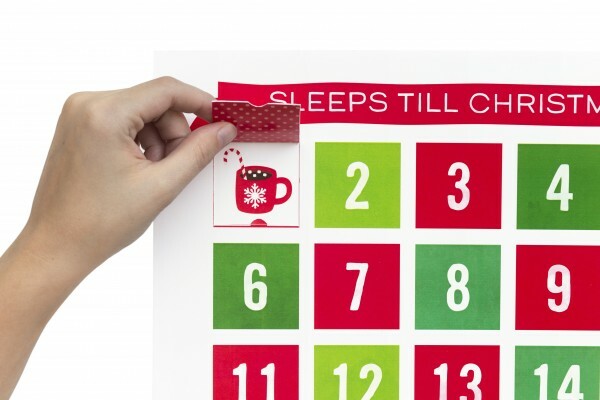 They don’t just need attention the day of but also the days beforehand in order to handpick gifts, sort through cards and plan the fun parties to celebrate. 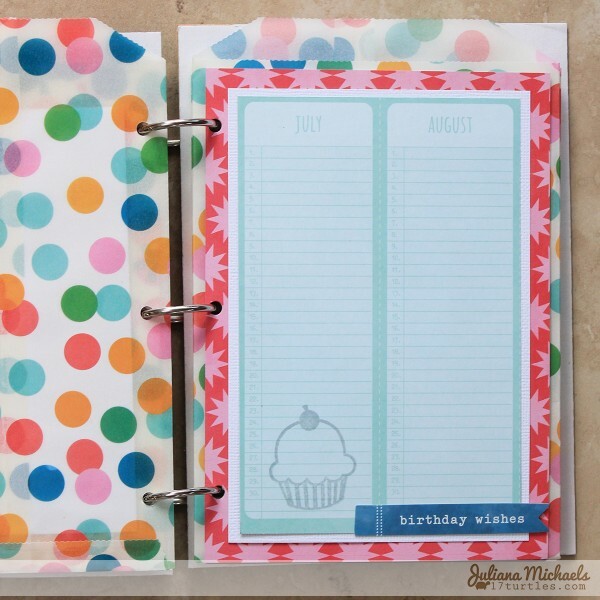 Juliana Michaels has come up with a perfect way to remember all the birthdays of the people you love most and plan for them. 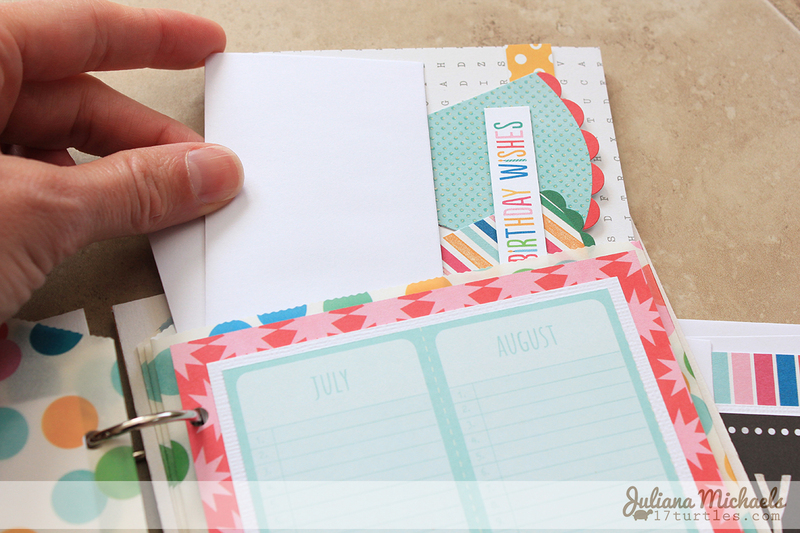 Read on to check out her birthday calendar and birthday card organizer. 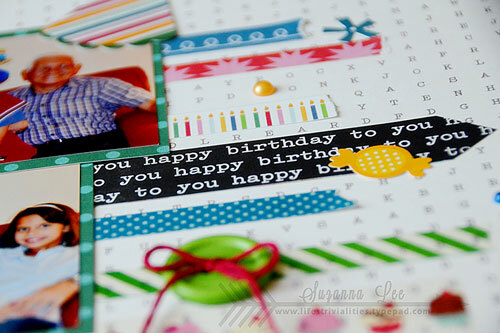 The Birthday Wishes collection is one of those collections that just makes me happy! 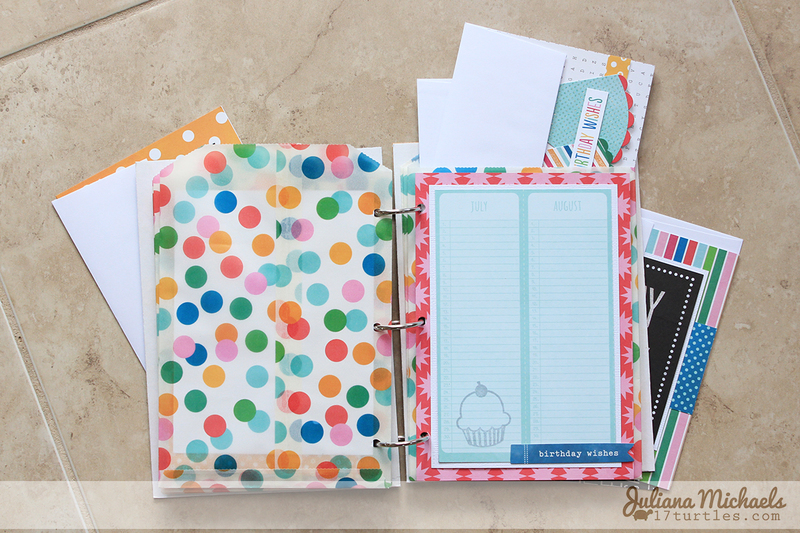 I love the colors, the theme, and I have found it to be perfect for everything from creating scrapbook pages to birthday party decor. Today, I’m sharing a project that was inspired by one of the pieces of patterned paper in the Birthday Wishes collection called Party Day. On the B side of this paper is a calendar that spoke to me and said “make me into a birthday calendar!” And so I listened! I began by creating the inside pages first. I cut the Party Day paper into 6 sections, with two consecutive months on each piece, by following the printed lines on the paper. I then mounted each piece onto white cardstock. Next, I mounted this piece onto a piece of patterned paper from the Birthday Wishes collection. 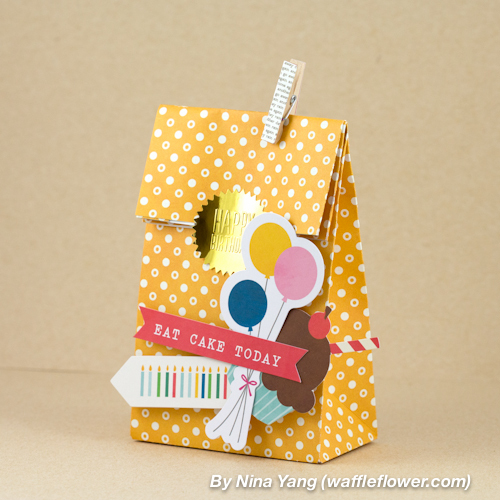 I was going to stop with that, but then the idea of using the Birthday Wishes Printed Bags to hold Birthday Cards for each month entered my mind. I then, mounted each of the pieces onto one of the Printed Bags. 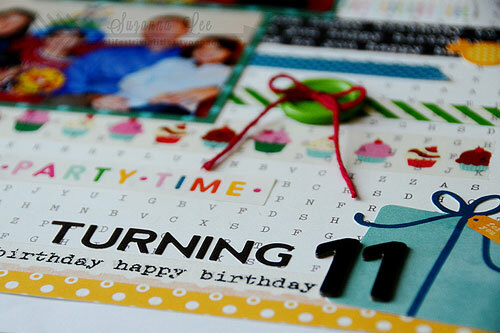 To decorate each page, I used one of the Birthday Wishes Stamps and either a sticker or die cut from the collection. 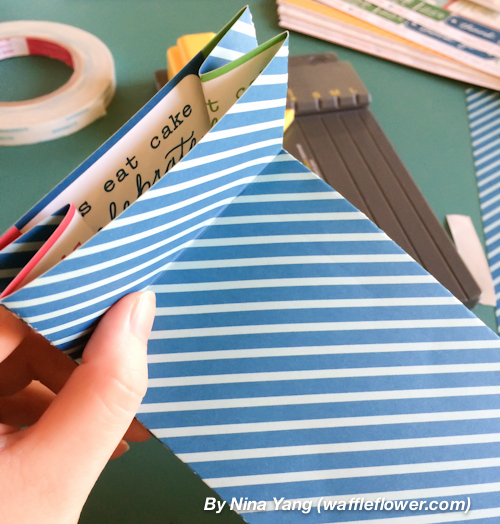 Once I had all of the interior pages completed, I created the cover for my Organizer using plain chipboard. 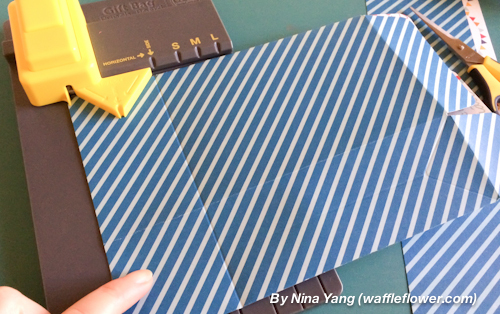 I cut the chipboard to 5.5 x 7.5″. This made it slightly larger than the Printed Bags. I then decorated the front chipboard cover with patterned paper, a page from the Journaling and Quote Book, a Button and some twine. To put the organizer together, I punched holes in the side of each bag, using the first one as a guide for punching the holes in the other bags. I then used one of the bags as a guide to punch holes in the chipboard cover. I then slipped a 1.25″ book ring through each hole and fastened all of the pages and the front and back covers together. 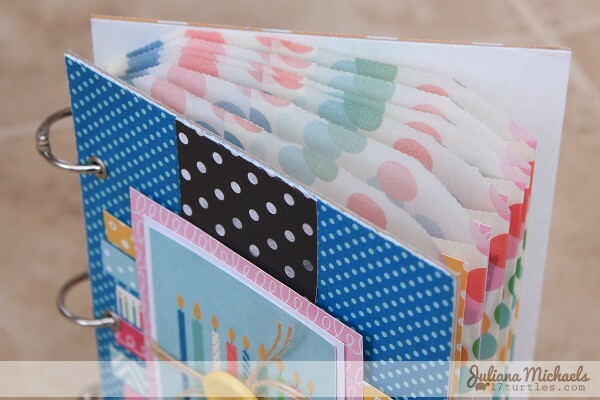 My Birthday Calendar and Card Organizer is now complete and ready for me to add the birthdays of my friends and families. 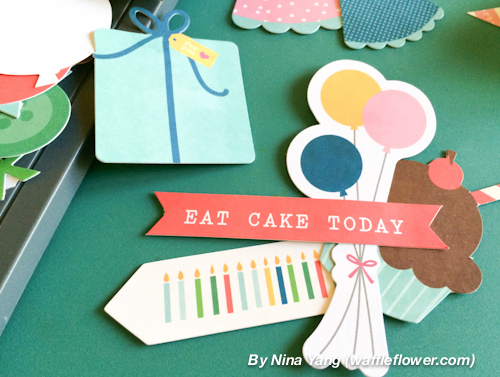 After I finished the organizer, I decided that I wanted to get a head start on birthday cards, so I created a set of 8 quick and easy birthday cards using the Birthday Wishes Cardmaking Paper Pad and Journaling Cards. 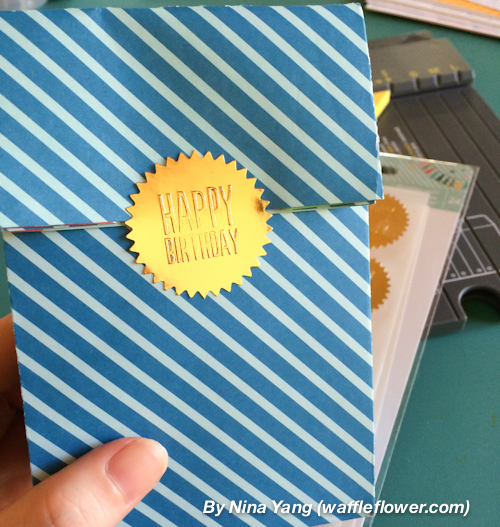 Stop by my blog to see: Quick and Easy Birthday Cards | Pebbles Birthday Wishes and a fun tool that I used to add a little sparkle and shine to my cards.